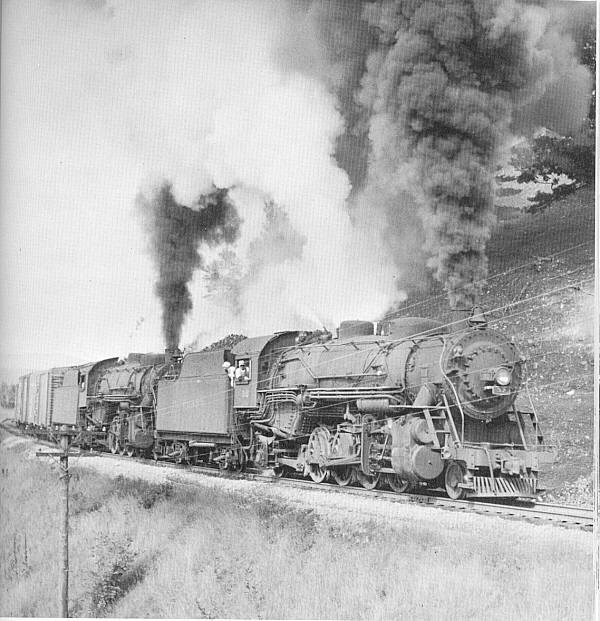 A pair of Mikados battle the grade over Mount Holly at Cuttingville,Vertmont,with Boston bound tonnage Photo by Robert F.Collins. The northbound train with a heavy load of mail and express cars makes it's daily stop under the old ball signal at North Bennington. Private Bus Company provided a connection to Bennington five miles south. Photo By Jim Shaughnessy. 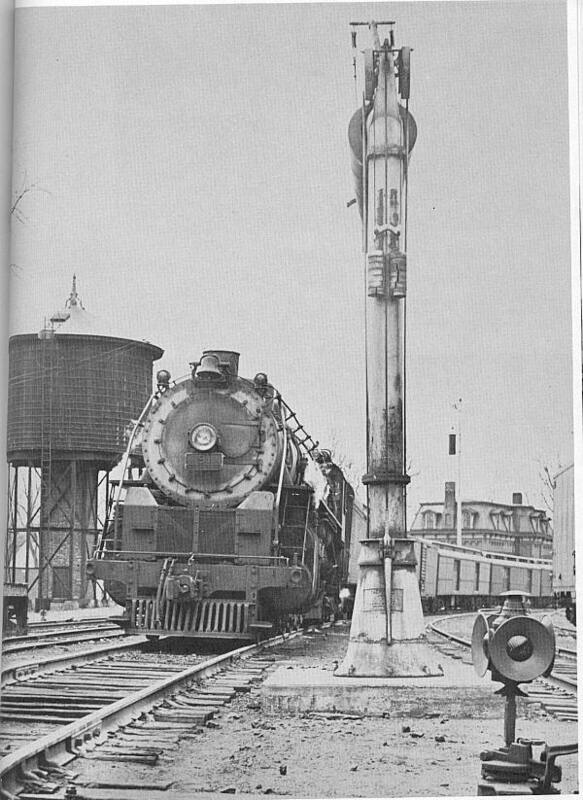 Mountain Type #93 brings the train from North Bennington on the Boston & Maine tracks at Johnsonville, NY., past the tower controling the junction where tracks to the left to lead to Mechanicville - William D. Middleton. 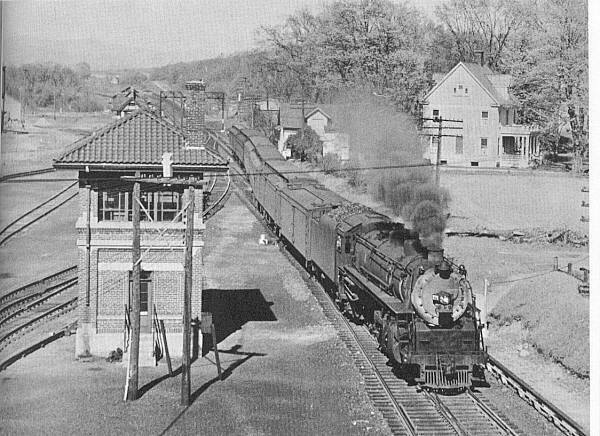 Looking through the old ball signal photographer Philip Hastings caught dramatic 1946 view of the New York Section of the Flyer coming into Rutland yard from Bennginton behind Boston & Maine's Pacific #3656.